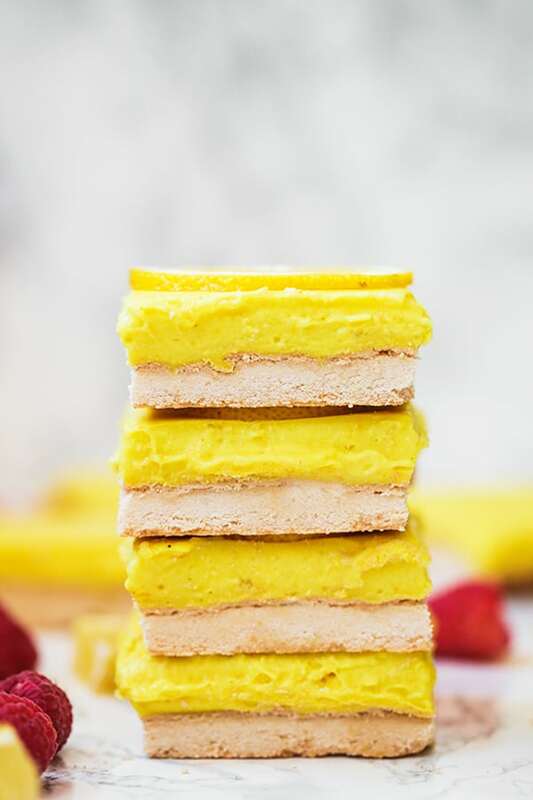 These paleo lemon bars are impossibly good! With a delicious crust and a creamy lemon curd, they’re a tasty and unique dessert. Plus, they’re totally egg-free, nut free, and AIP compliant. Growing up, my little brother was always the lemon dessert fan, whereas I was the chocolate lover. I was too busy making chocolate chip cookies to ever even notice the lemon tarts or lemon bars that he always wanted around his birthday. 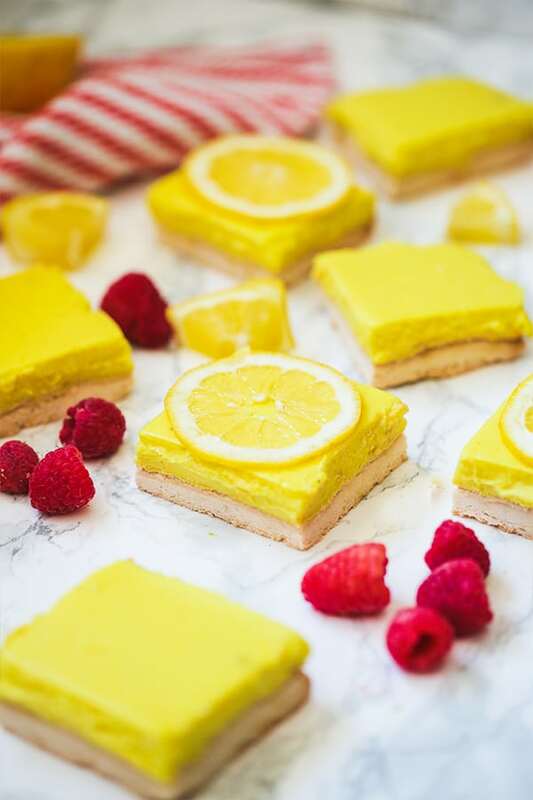 As I’ve grown up and learned to appreciate real food ingredients more, I love lemon desserts, and really, anything lemon flavored. It’s always fun to combine two flavors that technically shouldn’t go together like sweet and sour and still come out with a delicious treat! 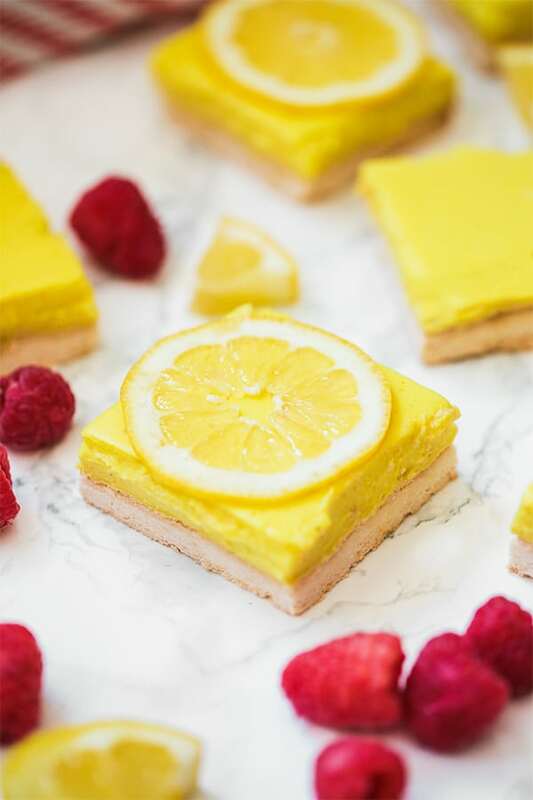 When I decided that I wanted to make lemon bars, I thought it would be next to impossible to do it grain free, refined sugar-free, and the biggest elephant in the room… egg free! The height and color of lemon curd come from eggs, so how the heck was I going to do without?! I even surprised myself when these lemon bars came out absolutely perfect. 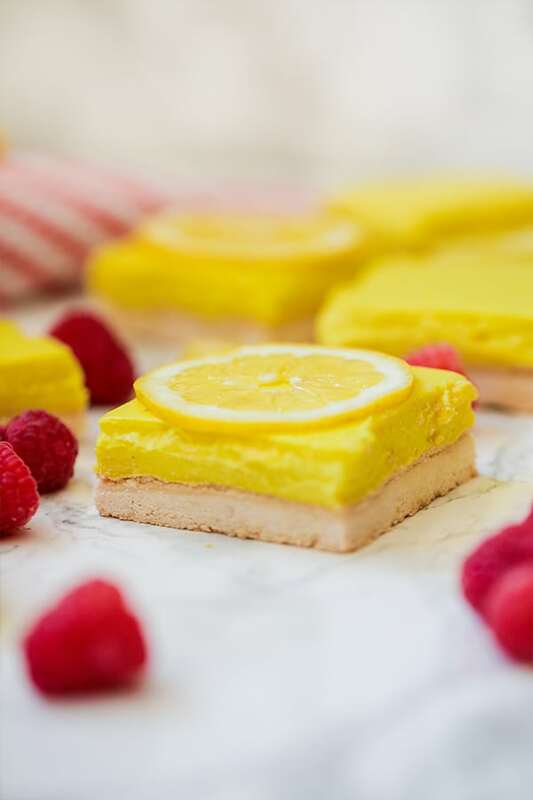 The shortbread crust is spot on, and the curd has a creamy, sweet, and sour flavor that’s perfect for lemon bars. I shared these with my mom and my husband, and we finished the batch in no time. They’re great for sharing with friends who are gluten-free, grain-free, lactose intolerant, or have egg allergies, all while still being totally delicious. This is the main flour in the crust. I have not tried any others flours and can’t recommend a substitution. This goes in both the crust and the lemon curd. I haven’t tried this with tapioca starch and can’t guarantee it would come out the same. This is the main ingredient for the lemon curd. This is the brand I recommend. What actually gives traditional lemon bars their yellow color is the egg yolks. Since these are egg free, we’re using just a bit of turmeric for coloring. I promise you don’t taste it! I highly recommend using golden coconut sugar. The gelatin helps act as an egg in the curd. I use Vital Proteins grass-fed gelatin. Start with the crust by mixing together the two flours, and then stirring in the wet ingredients until well combined. Evenly flatten the crust in the bottom of the pan and puncture the crust with a fork about 10-15 times. Bake the crust until lightly golden brown for about 25-30 minutes. Set aside and allow to completely cool. Place a large pot over medium heat and stir together all of the ingredients (reserving the gelatin and water). Stir while the curd thickens for about 5 minutes. Turn off the heat and allow the curd to slightly cool. In a smaller pot, add the water and sprinkle over the gelatin. Allow the mixture to sit until it hardens. Melt the gelatin on low heat for 2-3 minutes, being careful to not let it burn or boil. Vigorously whisk and stir the gelatin egg into the lemon mixture. Let the curd cool. Once cooled, pour the curd over the crust and place in the fridge for 3-4 hours, once the curd solidifies. Carefully remove from the pan and slice into 9 bars. Be aware that the curd may separate from the crust if handled too hard. Garnish with lemon slices or lemon zest and enjoy!